A Box of Conveyor Belt Clips. 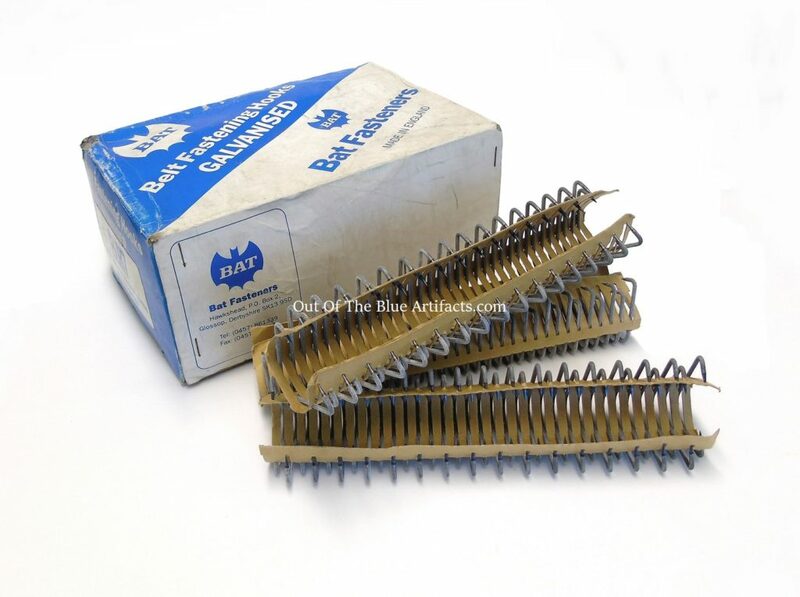 The box of Galvanised clips were made in England by “Bat Fasteners” Hawkshead, P.O. Box 2, Glossop, Derbyshire, SK13 9SD. The box is full and complete containing eight 9″ inch combs with a spacing of 7mm between hooks. 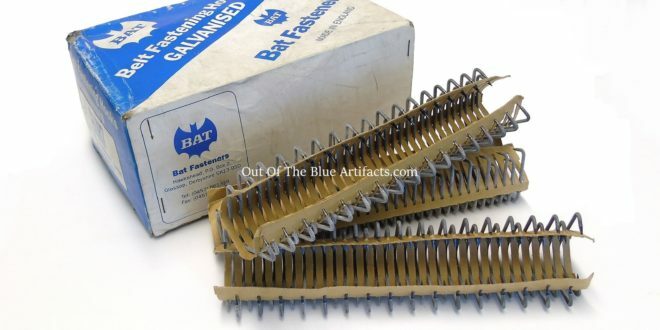 The “Bat Fasteners Co” was a member of the Jackson Fasteners Ltd, a group of companies based in Glossop, Derbyshire, manufacturers of the worlds widest range of Conveyor Belt Fasteners and elevator Bucket Bolts. This type of fastener was used with the Comet Belt Lacing machine that I have in my collection, as seen on another page.